We build lean, strong, confident athletes. We DO NOT have eucalyptus towels. NO gimmicks, short cuts, or fads. We teach you how to lift weights, train smarter and get the work done. We prepare you for “Game Time”. When it comes down to it, we all know what we should be doing. The problem is, life gets in the way and we don’t do it. Most of the time, our inability to achieve our goals is not an educational issue… it’s an execution issue. Is to ensure you show up, and do the work. That you have coaches that understand your concerns, needs and care about your success. That you feel the camaraderie and accountability of being a part of a team again. To give you the confidence to safely and efficiently perform your training from any location. Our promise is to ensure your strongest and fittest years are still ahead of you. There is an athlete inside all of us. Athletes have goals and a way to measure their success. Athletes have a plan, they are disciplined, and get the work done regardless of fluctuating motivation. We believe your success is dictated by consistent daily habits. We teach you the importance of balancing intensity and how working in extremes all the time will leave you broken. 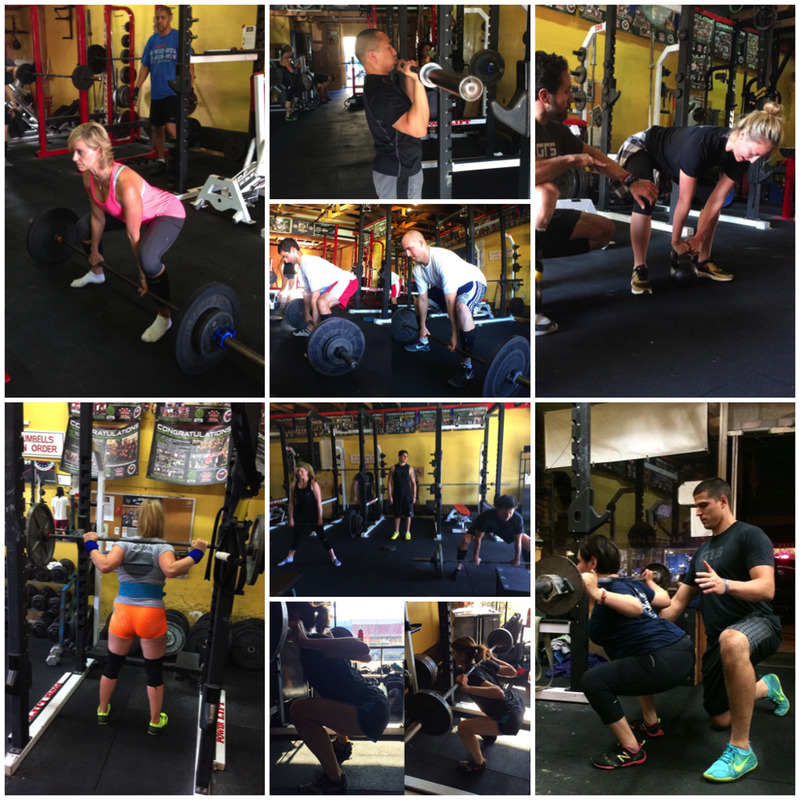 Our mission is to transform ordinary people into lean, strong, confident athletes. Getting a gym membership is like having a library card. Investing in a coach is like going to college. Experience a coaching and training model like nothing else. A blend of individualized program design and personal attention set in a team training environment. Step by step, learn how to safely and efficiently use free weights and barbells with proper form. We aren’t here to crush you with weight. Learn to move well first… then we’ll slowly add load. Combine strength training, powerlifting, bodybuilding, nutrition and conditioning to become a well-balanced, durable athlete who not only lifts strong, but looks strong as well. Miss the camaraderie and accountability of being a part of a team? Work side by side with your coaching staff and like-minded teammates all trying to level up! We’re here to build you up, not break you down. We measure your success, keep you focused, accountable and reinforce healthy habits that stand the test of time. We promise you’ll feel confident performing your program with or without your coaching staff in any gym setting! No longer are you restricted by time restricted or class based models. Open and Unlimited Coaching Hours allow you to work around your busy schedule. Access to your program gives you the freedom of training on your own time! While our home base is in El Segundo (Los Angeles), we provide remote training and nutrition coaching to clients throughout the United States.